Make Your Next Group Event Badass! Bowling and karaoke are great, but don’t you want to do something a little more exciting, off-the-beaten-path, and just plain cool for your next group outing? 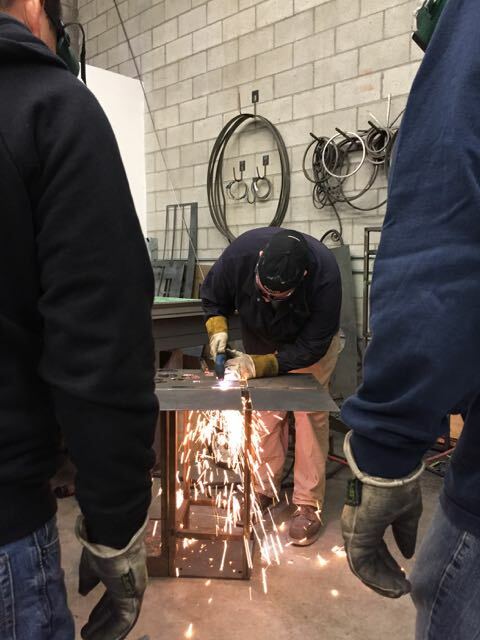 Here at Molten Metal Works, we can help make sure your next social event is — literally — as we teach your group how to bend, melt, and weld solid steel in a super fun, super hands-on welding class. 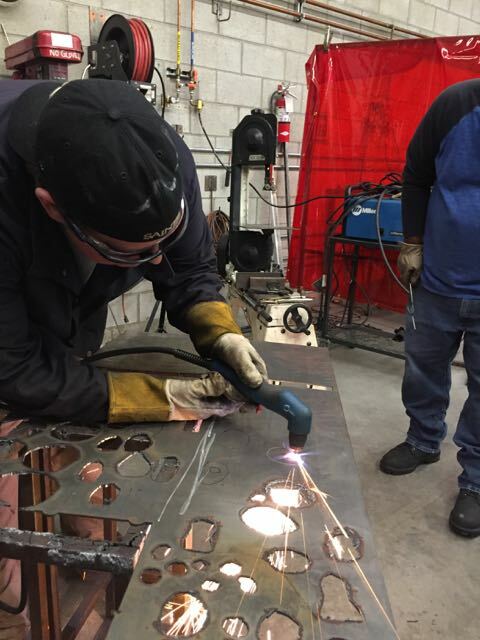 Not only will everyone leave with new skills and great memories, but you’ll also each make your very own metal project that’s yours to keep! Beginners welcome! 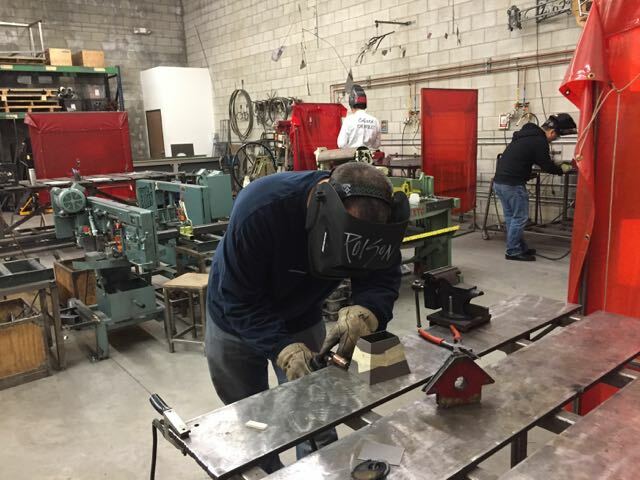 We recommend our “Make Your Own Cowbell” project — we do it regularly with our Welding Taster classes, and we think that it’s a ton of fun. If you’re not feeling the cowbells, we can also do a “Balancing Sculptures” project or a “Custom Address Sign” project. 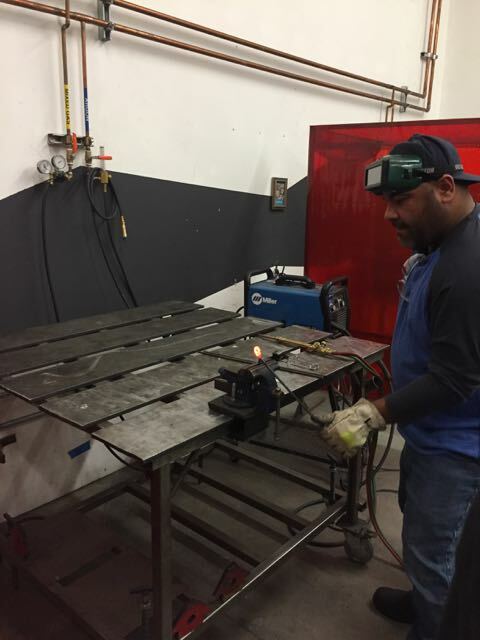 If you have a specific idea or just want to do something different, we can create a custom project just for your group for an additional fee. We can handle groups of up to 14 people. The shop is free on Mondays and Tuesdays at any time and some Fridays during the day. Other days might be available depending on our regular classes. The class is 3 hours long, and you can stay later to eat, drink, and be merry and if you want. So you have a space where we can eat? Yes! We have more than enough table space for your whole group to chow down either before, during, or after the class. Feel free to order food directly to the shop. Wait, back up, we can drink? Sure! But only after all the welding is done. Mixing alcohol and 7000° torches is a definite no-no. But if you want to bust out the booze after the class is over, then be our guest! Though if you do decide to get all celebratory, we will be required to get special event insurance (extra $175). 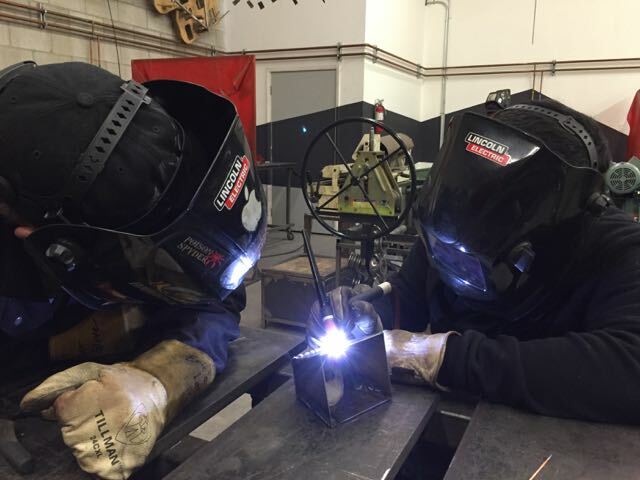 Do we need to have any welding experience? Nope! 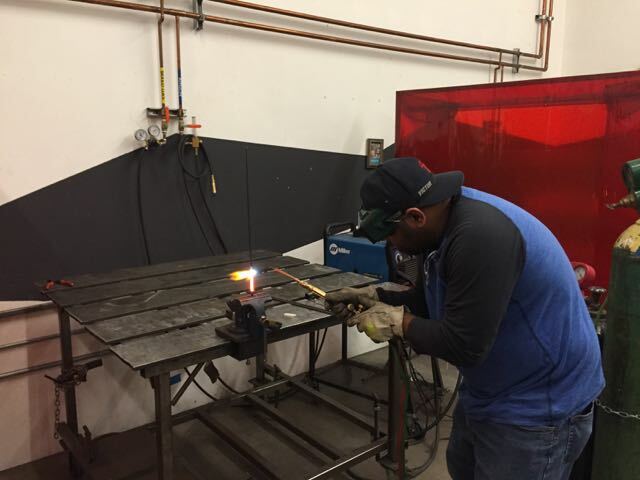 No experience with metal or DIYing is required! We’ll teach you everything you need to know — though it helps if you’re not squeamish with power tools and if you’re comfortable around loud noises and sparks. You should also wear long sleeve 100% cotton or wool shirt and pants (no synthetic melty stuff) and all leather or canvas shoes (work boots, cowboy boots, vans all good, running shoes with synthetic melty stuff or clogs bad). Bring reading glasses or something to tie your hair back if you need either. Other than that, we’ve got all the materials and safety gear. 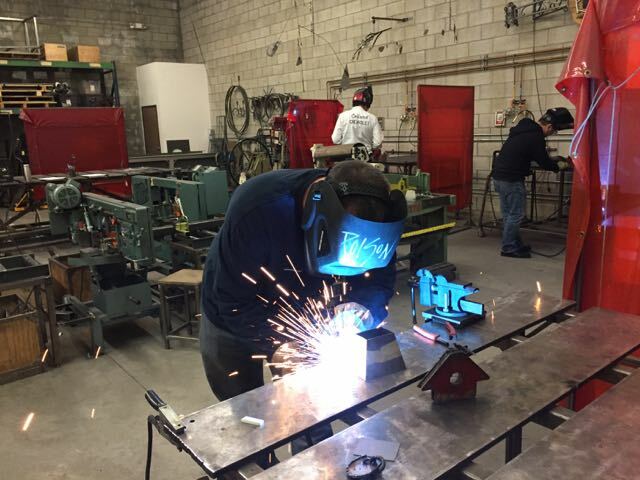 Who can learn to weld? 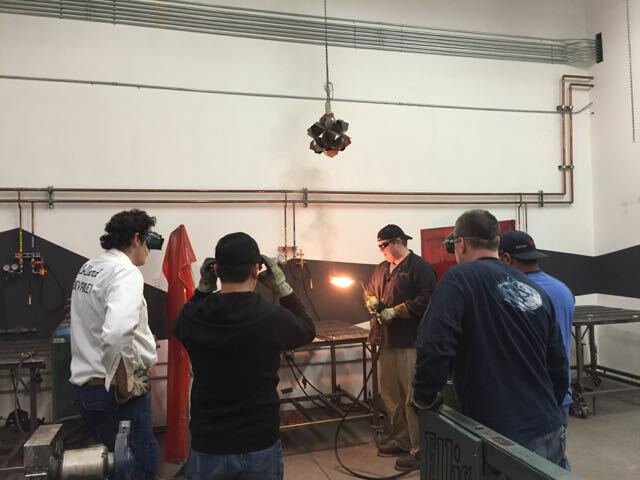 We can teach just about anyone to weld, but our insurance requires you to be at least 14. For more info on classes for minors, see here. Additional stuff–if you have a pacemaker, you should not be doing arc welding (any welding using electricity). The magnetic fields do something. If you have trouble seeing in the dark, doing things like night driving, or have really unsteady hands, you will have additional difficulty. We can usually find some work-arounds to help, but those are the most common complaints. Other than that, bring it on. There is a $150 base fee + $75 per person. Ex. A group of 6 would cost $150 + 6*$75 for a total of $600. Ex. A group of 14 would cost $150 + 14*$75 for a total of $1200. If you want to add some eating/drinking time before or after the class, it’s just $75/hour to cover staff and cleaning fees. 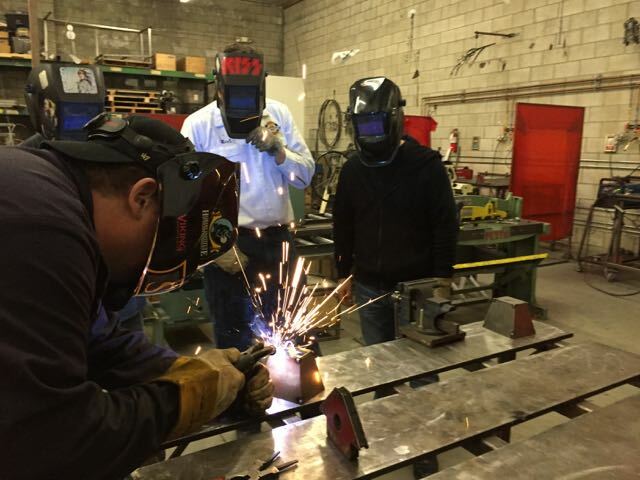 To book your event, you can email shop@moltenmetalworks.net or call us at 323-333-9952. And where is the shop? We’re located in Glendale near Atwater Village. 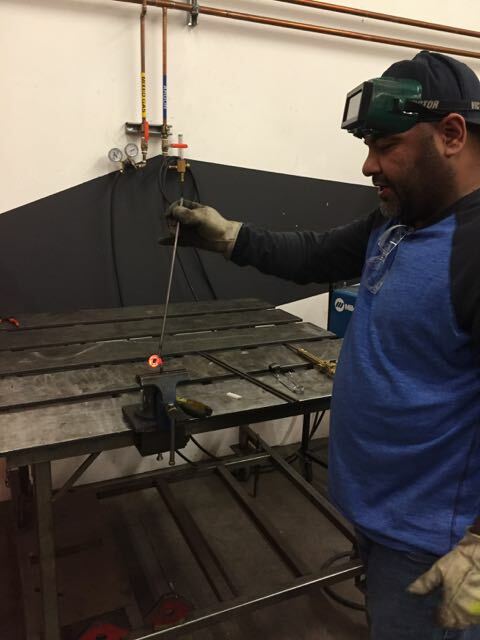 Learning to use a plasma cutter.